Celtic manager Brendan Rodgers insists he will live or die by his own principles following debate about his Champions League approach. Rodgers refused to compromise his usual 4-2-3-1 system against Bayern Munich despite missing defenders Jozo Simunovic, Erik Sviatchenko and Anthony Ralston through injury and his side lost 3-0. 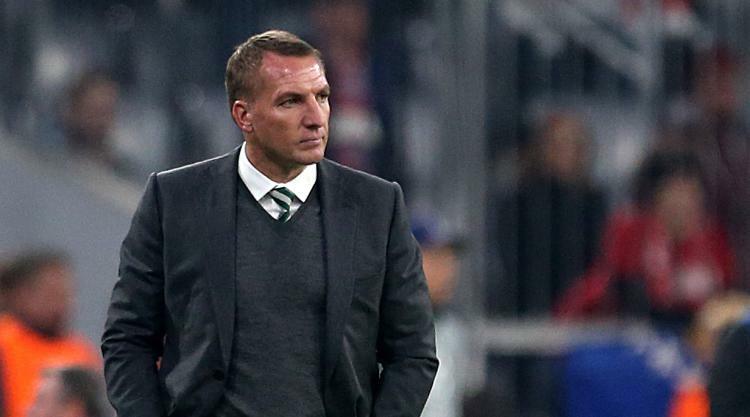 The defeat could have been heavier and followed on from a 5-0 opening loss to Paris St Germain, but Celtic won 3-0 at Anderlecht in between while playing Rodgers' way and he will not change. Rodgers, who has an unchanged squad for Saturday's Betfred Cup semi-final against Hibernian, said: "As a manager, what you learn, especially with experience, is that if you ever go down as a manager, go down with your own vision. Not with someone else's. "People say park the bus or be pragmatic. We tried that in Barcelona. We lost 7-0. "It's not how I work. We have an idea of how we play which is first and foremost fundamentally an aggressive way to defend. "If you look at the competitions, we defend well, we press well. But of course if you are playing against that level of quality, at times that quality can open you up. "But for us it's just about progress. The players are on the right track. "First half we didn't have as many attacking moments as we would have liked. But the players grew into the game and in the last 30 minutes they showed the confidence, if you play that way, you can still create opportunities." Rodgers is awaiting news on the hamstring injury which kept Jozo Simunovic out of the trip to Germany. The defender suffered a hamstring tear on international duty with Bosnia-Herzegovina earlier this month and the problem flared up again before Celtic flew out. The centre-back now looks likely to miss next week's top-of-the-table Ladbrokes Premiership clash with Aberdeen and is a doubt for the return game against Bayern on October 31. Rodgers said: "It's a repeat of what he had before so it might be a few weeks, but I will get more detail on that." Erik Sviatchenko is still working his way back from a knee injury along with right-back Anthony Ralston. Rodgers played full-back Mikael Lustig in central defence in Germany, with Cristian Gamboa making a rare start at right-back.